While being nationally known as a winter ski resort and getaway, Mammoth Mountain is also a superb and one of a kind location to spend a spring and/or summer getaway. For several months now most of country has been in a deep freeze, which has left people up to their knees in snow and up to their eyes in frustration. If you are tired of the cold weather and are ready to start experiencing your favorite warm weather activities, do not fear, as spring weather will arrive in a matter of weeks. In the meantime, use your time trapped inside to plan your first warm weather outing, and consider the fun adventures you could have in Mammoth Lakes, CA. While being nationally known as a winter ski resort and getaway, Mammoth Mountain is also a superb and one of a kind location to spend a spring and/or summer getaway. With spring and summer activities scheduled to resume as early as in April you are mere weeks from being able to experience the joy once again of spending time outside in nature. Here are just a few of the many activities in which you can take part in Mammoth Lakes that shoul d give you a reason to spend your next vacation there. While being a unique and diverse environment in itself, Mammoth Lakes also acts as the perfect central location from which one can travel to various natural wonders that are in close vicinity to Mammoth. While the hiking trails, scenery, and lakes in Mammoth offer some of the most spectacular sightseeing in the world, which attracts thousands of visitors to the area each year, when staying in mammoth there are other awe-inspiring locations you can easily visit. In mammoth, one is a short drive away from both Yosemite National Park and Devils Postpile national monument, which are two magnificent sites that should be on everyone’s bucket list. Fishing is an iconic, relaxing summer sport, and is one of the greatest benefits of spending a spring vacation in Mammoth. 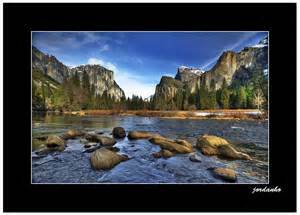 Mammoth Lakes is world renowned for the trout fishing opportunities that it presents. Whether you are a professional or novice fisherman there are ample opportunities in Mammoth for everyone to enjoy a serene day of fishing. A fantastic aspect of Mammoth Lakes as a vacation destination is that it provides options for every taste. Even if you do not see yourself as an outdoorsman, there are plenty of options for keeping entertained on your mammoth vacation. Springtime in Mammoth marks the start of the festival season. During this time of year, Mammoth comes alive with music, food, and countless activities. Another draw to Mammoth for many individuals is also the ample shopping and dining options that are present there.